I would like to see everyone's vintage Reds memorabilia. 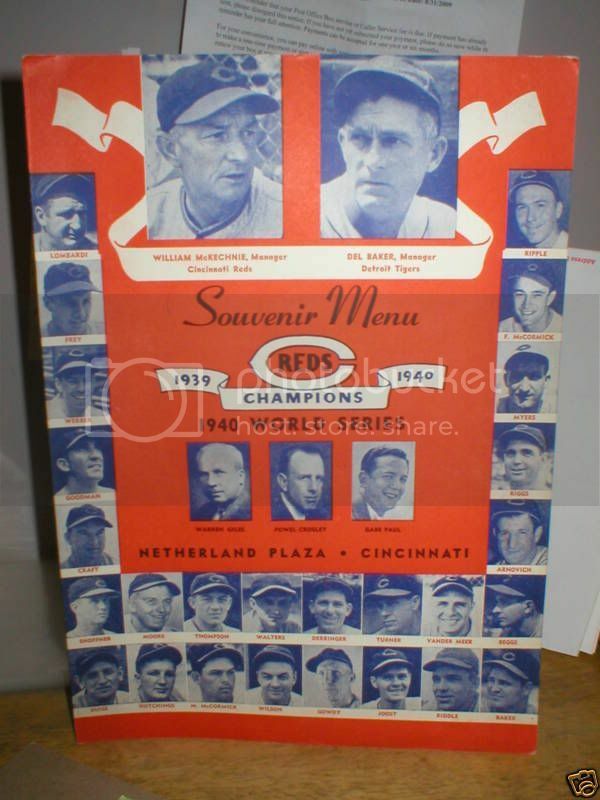 I recently picked up this 1940 Cincinnati Reds Menu. Should he be in the HOF? Last edited by D. Broughman; 12-23-2009 at 03:37 PM. Great stuff guys....keep the photos coming. That 1919 Reds pennant is awesome Perezfan! Also, I have never seen that 1940 Reds NL Champs pennant. Wow. Here is my pennant from the same series. Thanks for posting it! Regarding mine... yes, the 1919 pennant is insanely rare and desirable for obvious reasons. I just picked up the 1940 Pennant last month (on ebay of all places). Until then, I had never seen another like it either... and that's after 20 years of collecting these. So I have to believe it's a rare one as well. Last edited by perezfan; 11-04-2009 at 09:49 AM. It doesn't get any cooler than this if you're a Reds fan! It's a scoresheet/schedule printed between the 1869 and 1870 seasons. Check out the scores of some of the games. Not exactly pitchers' duels. Heritage Auctions sold it for $10,000 last month. 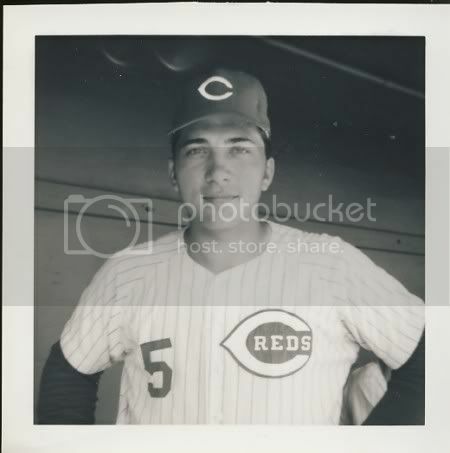 Jonathan - the scorecard is an awsomely cool item , but annoying nit-picker that I am , I have to point out that it has absolutely no relationship to the current Cincinnati Reds franchise, which began in the American Assoc. in 1882, and transfered to the NL in 1890. Last edited by bmarlowe1; 11-11-2009 at 05:09 PM. Aren't the Braves the descendant of the Red Stockings? 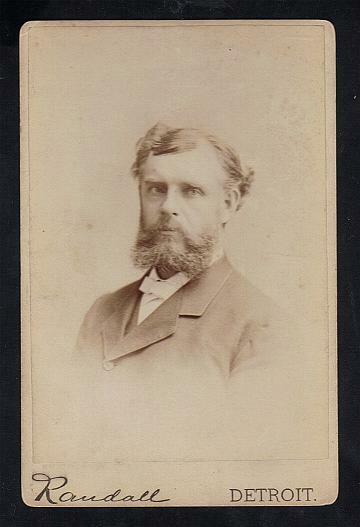 George & Harry Wright did found the Boston NL franchise in 1876. They had been behind the Boston NA franchise in 1871-1875, but there was so much player turnover between 1875 and 1876, I don't think you could say they were exactly the same franchise. In 1871 the club included the Wrights and a few members of the Cincy team. So, I don't think you could say that the 1876 Bos NL club is the same franchise as the 1869 Cin team, though there is a connection. Last edited by bmarlowe1; 11-12-2009 at 10:35 AM. 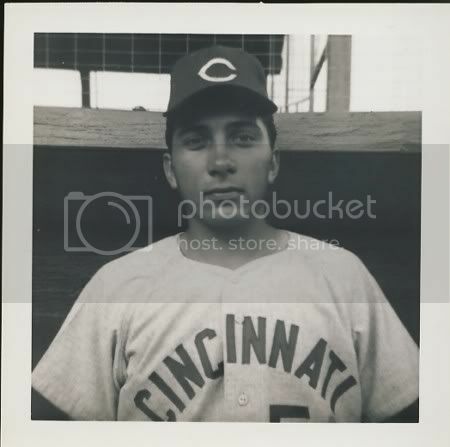 Jake Stenzel was from Cincinnati and finished his career with the Reds. After baseball he opened a bar called the "Base Ball Exchange" across from Palace of the Fans. This token is from that bar. The pin is also from there. Last edited by D. Broughman; 12-23-2009 at 03:38 PM. Last edited by Oldtix; 11-17-2009 at 08:44 PM. 1977 Original Type I photo of Seaver being photographed by Andy Warhol at his studio in NYC. That signed snapshot sure is a rare item. Congratulations. 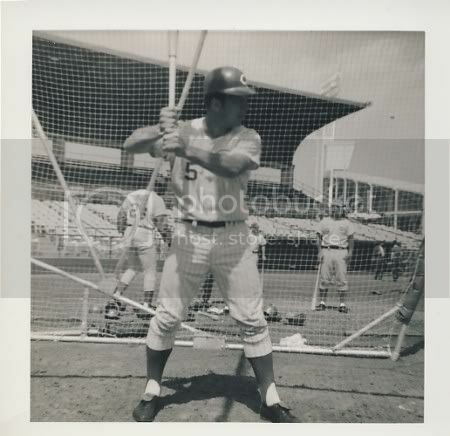 Great Hershberger photo and auto. I don't get over to this part of the board often and this thread was a nice surprise. signed by the whole team. Last edited by bijoem; 02-14-2010 at 12:48 PM. Reason: corrected game name. Doug - I love the Tribune from 1919, great piece. 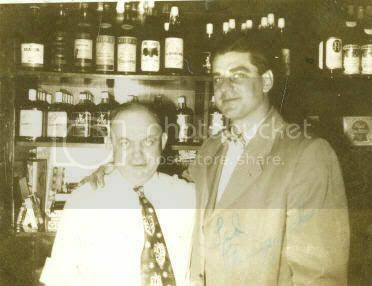 I've shown this on previous threads but here is Ted Kluszewski with my wife's grandfather in his bar in Dayton. 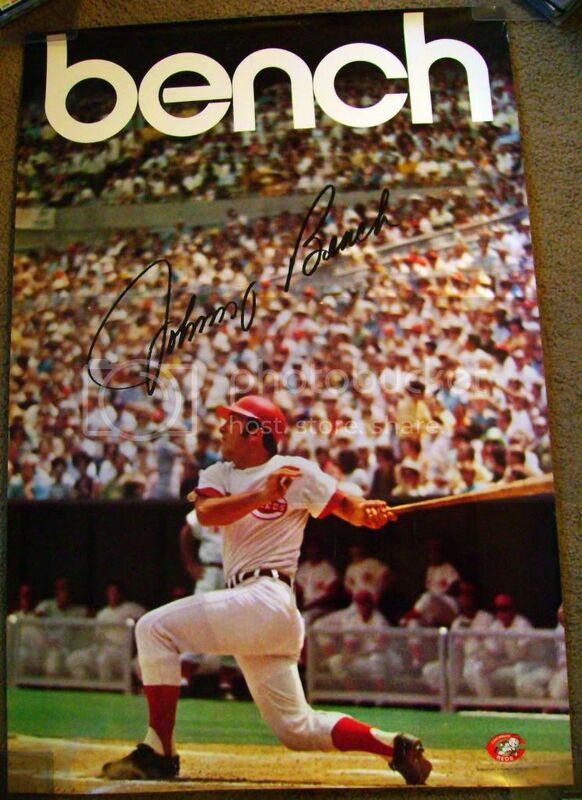 1) Two great examples of Frank "Noodles" Hahn's autograph. FYI- "Noodles" Hahn threw the first no-hitter of the 20th century in 1900. I've included a picture of an original circa 1903 Cincinnati Reds pay stub receipt with his sig as well as a beautiful GPC from the famed Charles Keith collection in 1947. 2) A photo study of items related to, in my humble opinion, one of the greatest games ever pitched. 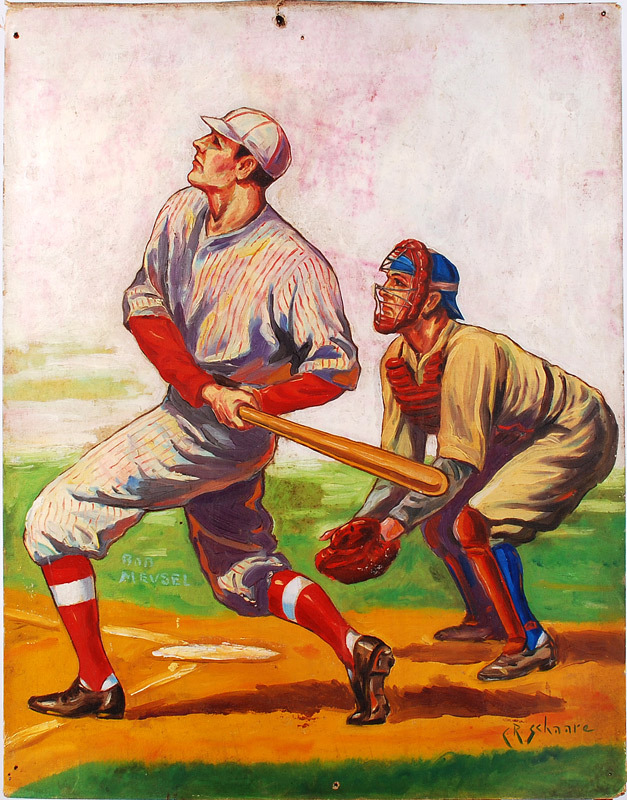 On May, 2 1917 Fred Toney of the Cincinnati Reds squared off with the Chicago Cubs great left handed hurler James "Hippo" Vaughn in Chicago. For those of you that are not familiar with this game, BOTH pitchers threw 9 innings of no-hit ball for the 1st and only time. Hippo Vaugn ended up with the short end of the stick, eventually giving up a hit in the 10th inning. What a tough game to lose, but that's baseball... I am showing you a complete season ticket book to the Cubs 1917 season. The full, unused ticket to game number 8 at the top of the second photo. I've included a very rare fountain pen dated fountain pen 3 x 5 signature from 1935 as well as a picture postcard of Fred Toney and his competitive sneer. He looked like one tough hombre to me! 3) A circa 1946 fountain pen signed very rare GPC and picture postcard of "Hod" Eller also from the Charles Keith collection. Eller threw a no-hitter for the Reds in 1919 against the STL. Cards. 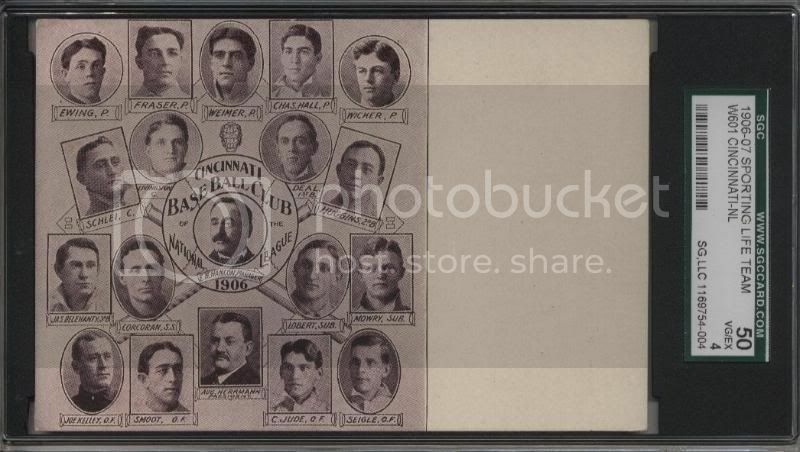 Also of note: Eller was a member of the 1919Cinci Reds team that bested the infamous Black Sox in the "fixed" World Series. 4) Photos of a very rare lower box figural ticket from Johnny Vander Meer's second consecutive no-hitter that he threw on June 15, 1938 (also the 1st night game at Brooklyn). 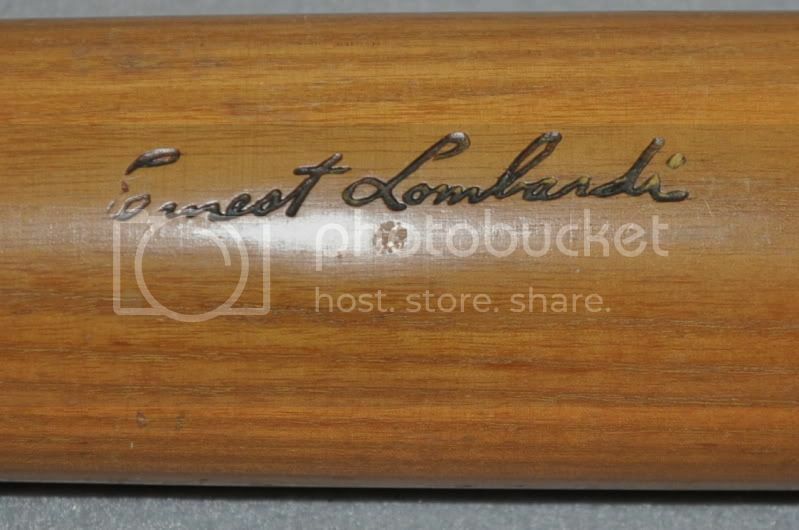 I also have included a circa 1938 fountain pen signature of Vandy. Note: After 70 years later this record still remains upbroken. 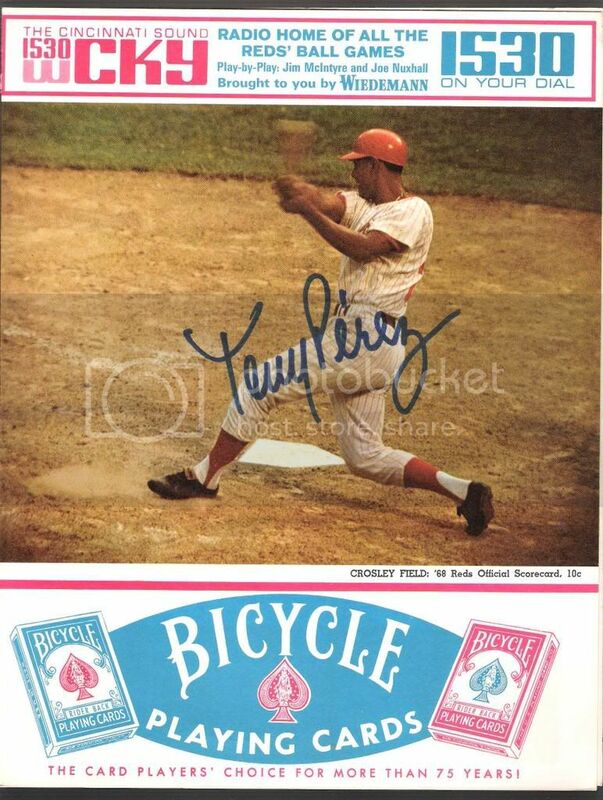 Fellow Reds great Pete Rose once stated that this was perhaps the most unassailable record in baseball. His candid observation was that in order to break this record you would have to throw THREE consecutive no-hitters, which will never happen! I've got more, but I don't want to get greedy with my time here. If you would like to see others from 1940 forward, please let me know and I will add items related to these no-hitter games. More photos. I hope you Reds fans enjoy these! Reds early-mid no-hitter tickets and sigs cont. Here is the photo of the Fred Toney signed 3 x5 and picture that I promised. Scott - that is an amazing collection. I loved the ticket from Vandy's 2nd no-hitter. Thanks for sharing. I'd love to see more of your 1919 signatures. The Eller is the best i've seen. That's a great image Anthony. Where the hell did you find it? Any Warhol related TYPE I photos are tough, tough, tough. Here is a painted Reds ball celebrating their legendary 1975 season by the popular folk artist George Sosnak. Ben (foreveryoung) has an even better Sosnak Ball with the Hit-King as its theme. Thanks Jimmy, I picked it up on eBay. I was really happy when I won it. Your right Warhol original photos are very hard to come by and I just love that this one has Tom Seaver (one of my favorite pitchers) in it. 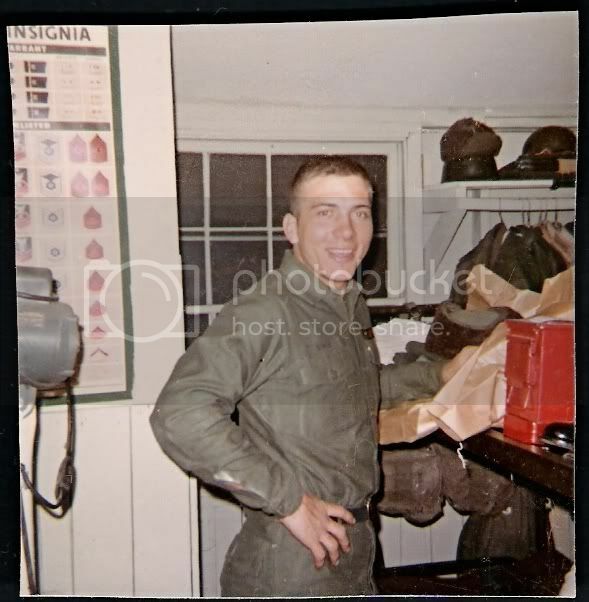 For me collecting original photos is a lot of fun b/c I feel it is the only thing in the hobby that truly takes you back to a specific moment. I have to say I've been nothing but impressed by your collection of original photos. You have some incredible masterpieces. 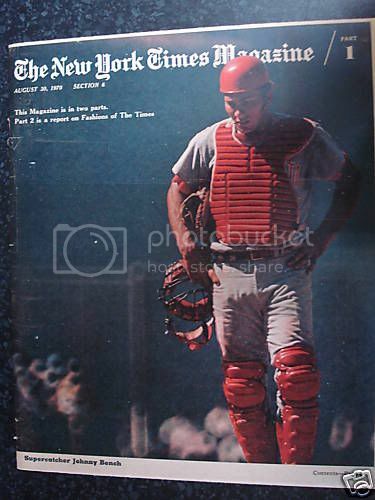 The original Big Red Machine. 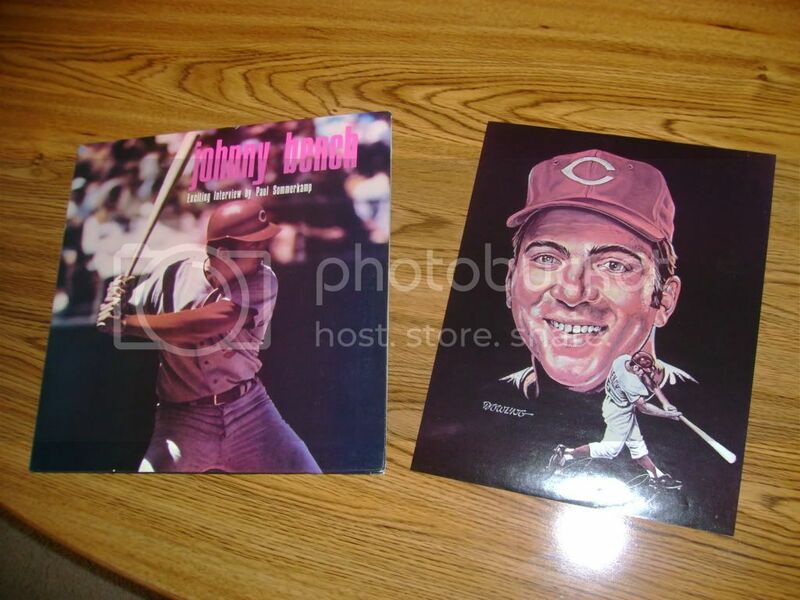 Here is a 1971 Johnny Bench record album with the orginal photo insert. here is a shot of Johnny Bench having just tagged out Fred Lynn (#19) at the plate in the 1975 World Series. You gotta love the face and clenched fist of the umpire. 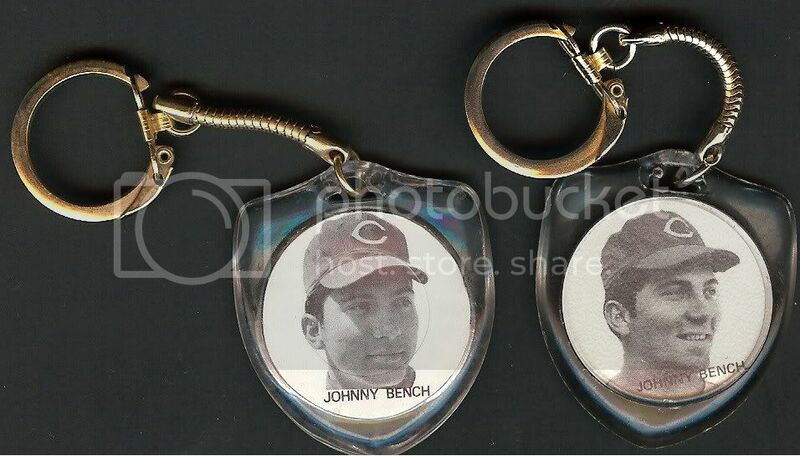 Here is one of my favorite Johnny Bench items. 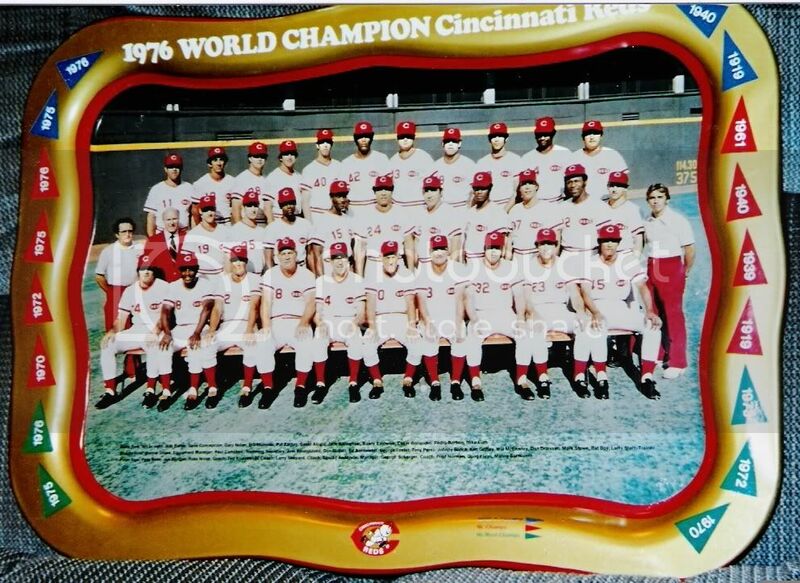 A 1971 team issue poster that is free of tack holes, tape, etc. Bought this a long time ago. Note attached says it is from July 3rd Harpers Magazine. Lists players as Allison, Brainard Gould Leonard McVey Sweasey, Waterman, Geo. Wright Harry Wright and Hurley. I really don't know much about this old stuff. But can anyone confirm that the print was in color in the magazine or was it colored later? 1. Reds Bats, including the "Great Eight"
4. Reds Game Used Hats, Balls, etc. I like the Rams nodder Mark. 6. Crosley Field Turnstyle, Ladder to the Press Box, etc. Last edited by Scott Garner; 06-08-2017 at 05:59 PM.